Italica, the birth place of the Roman emperors Trajan and Hadrian as well as the poet Silius Italicus, author of Punica, a long epic poem about the Second Punic War, is an ancient Roman town – or rather the ruins of it – near Seville in Spain. The town was founded by Scipio Africanus who settled the veterans of the Second Punic War here. Nowadays the site is most famous for the reasonably well-preserved amphitheatre, which was one of the largest in the Roman Empire. Halicarnassus, the birth place of Herodotus (nowadays Bodrum, Turkey) was home to one of the seven wonders of the ancient world: the Mausoleum, a colossal tomb of Mausolus, a Persian satrap and a ruler of Caria (377-353 B.C.). 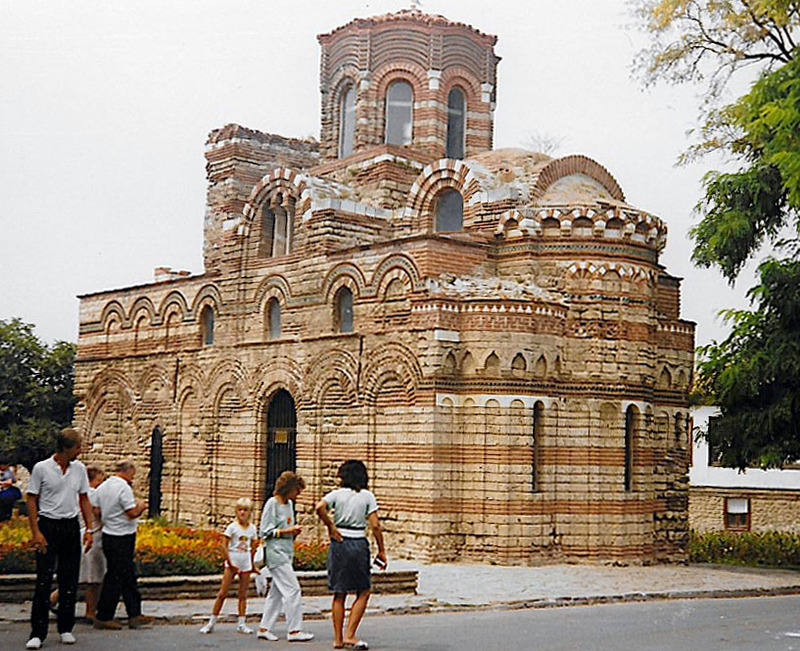 The word mausoleum as used today originates precisely in the name of Mausolus and his tomb. Mausolus made Halicarnassus his capital and spent a huge amount of money on improving the harbour, fortifying the town and embellishing it with temples, palaces and statues. View from the Ponte dei Sospiri, the Bridge of Sighs towards the Ponte della Paglia with the island of San Giorgio Maggiore in the distance. To the left, the New Prison, to the right, the Doge’s Palace. I blush to admit it here but before I read City of Fortune, before I stood on the Bridge of Sighs myself, looking out at the view towards St Mark’s Basin, I used to be under the impression that the Bridge of Sighs in Venice had to do with sighing lovers, like some sort of a Juliette’s balcony. 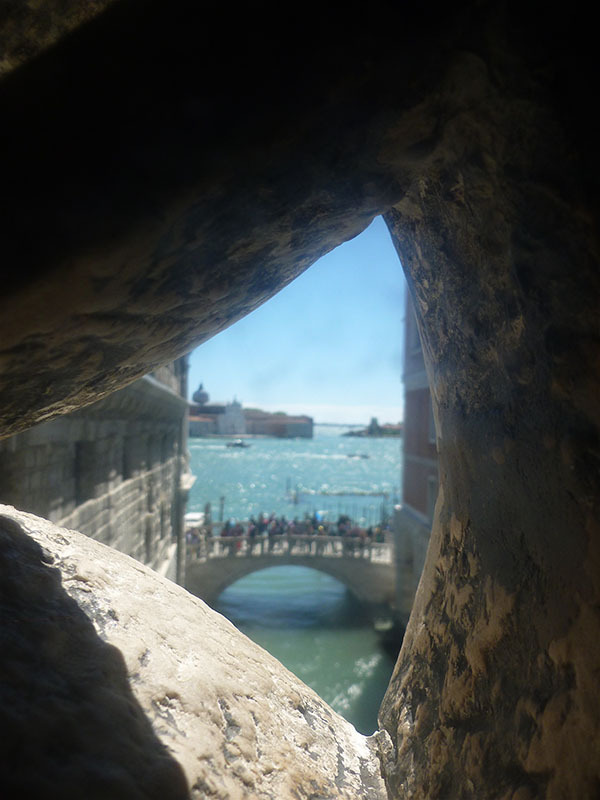 In fact, the Bridge of Sighs connects the Doge’s Palace to the new prisons on the other side of the canal and the sighing was done by the condemned men as they were led across the bridge, this being their last glimpse of the views of Venice. Apologies for being a day late with the Mediterranean Miscellany but I was on holiday – in the Mediterranean (of course). So today: Venice, a fantastic city with loads of history, since I just came back from there. Day 20 – the final – assignment called for a picture on the theme of triumph. I decided that’ll have to be the best picture I’ve taken on this course… when I actually stopped and thought about what I wanted to do, remembered the various things I was being taught, and then I managed to do what I wanted to do. 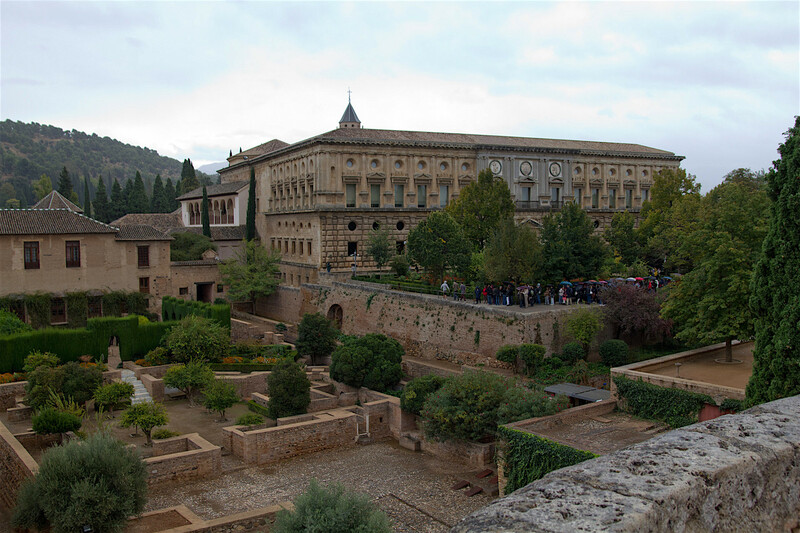 I only visited Granada once but hope to go back there someday. And when I go back, I’ll make sure I pack a jumper. We were staying in Seville for a week and we took the train for a day trip to Granada. It was the end of October but it was warm and sunny, and we had been wandering around Seville in summer clothes, eating a lot of ice-cream. On the train, the ticket inspector took one look at us, in t-shirts, shorts and summer dresses, and exclaimed, “It’s very cold in Granada!” Assuming that we didn’t understand Spanish, she proceeded to illustrate what she meant by treating us to an excellent pantomime: she hugged herself, gave a huge shiver, stomped her feet, then rubbed her hands together, repeating, “Mucho frío…” (Very cold.) After she moved on, we laughingly agreed among ourselves that the Spanish obviously considered anything below 20 degrees as cold… but naturally, as ‘hardy northerners’, we’d be fine. Well, we should have taken her more seriously, although it was too late to do anything about it by then of course. Because what we didn’t realise was that Seville is down on the plains and Granada is up in the mountains. It was cold, windy and it was raining on and off all day. The kind of weather you get in London at the end of October, in fact. And so my picture of the Alhambra is suitably overcast. Young Friend of the Elephants acquired her own e-mail address so that she could send e-mails full of anguish to her big sister. I have to do all the housework. I was left ruminating enviously about books set in Italy. What kind of a book would a chain-smoking former Special Operations Executive officer write? A man who at 18 had thought he had nothing better to do but to walk from the Hook of Holland to Constantinople with a volume of English verse and Horace’s Odes in his pocket? A man who felt equally at home in shepherds’ huts and in aristocratic palaces?…What kind of book?! And English readers, who know exactly whom I’m talking about, here answer in unison: a travel book, of course. A travel book, yes. Er… sort of. The archeological site of Knossos, near Heraklion on the island of Crete, was discovered in 1878 and excavated by Sir Arthur Evans from 1900 to 1935. The palace of Knossos was the centre of the Minoan Civilisation and was abandoned towards the end of the Bronze Age. There’s a theory that the Minoan Civilisation collapsed as a consequence of the explosion of the volcano at Santorini, with the ensuing tidal wave destroying the low-lying coastal areas of Crete and volcanic ash falling over the island; there’s another theory that the Minoans’ downfall was brought about by large scale Mycenaean invasion (who destroyed Troy too). Or you can take the two in combination – how the Minoans, weakened by the consequences of the volcanic eruption, were unable to resist the invading Mycenaeans. First impressions matter – at least to me. Hugely. And it is perhaps for this reason that I remain captivated by Toledo – Toledo, the Imperial City, once the capital of Spain, a city some 70 km to the southwest of Madrid in the province of Castilla-La Mancha. Toledo, the City of Three Cultures (Christian, Muslim and Jewish), a UNESCO World Heritage city, with a long and fascinating history stretching back to Roman times. There are books of which there’s nothing to write because all has been said before. There are others of which there’s nothing to write because the only thing to do is to quote. This is one of the latter ones. A rich and rewarding book for those who love Spain… & poetry.